Connor also did his customary superman finish by the looks of things. Over in the women’s it was Andrea Moller claiming the win for the umpteenth time, though her SIC team mate Sonni Honscheid was only a minute behind (a repeat of last week’s Paddle Imua race). 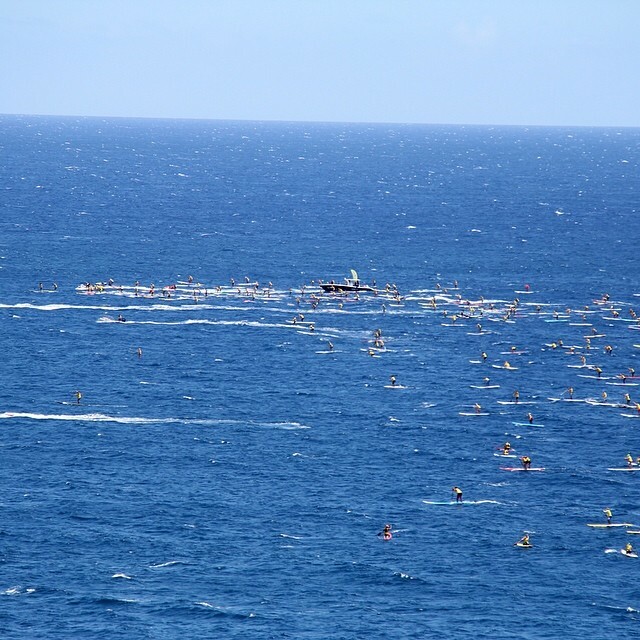 With close to 300 paddlers on the line, including several of the biggest names in the sport, the event itself has shown it’s one of the world’s premiere races. 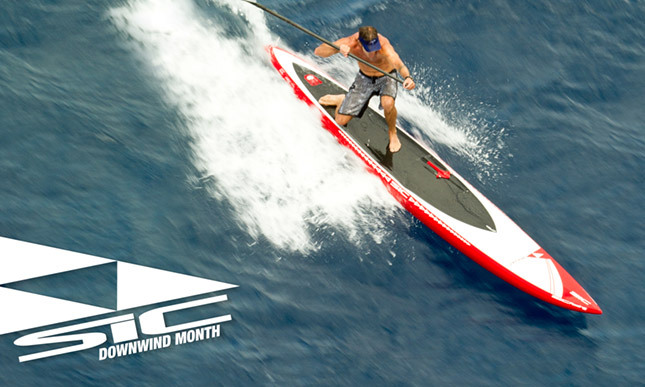 The OluKai Ho is part of our SIC Downwind Month feature. The first half of May is “Mini Downwind Month” on Maui, with last week’s Paddle Imua and today’s big race combining to kick off the downwind season. Coming up in July we’ve got the real Downwind Month, when the paddling world descends on Hawaii for three or four weeks of big races.